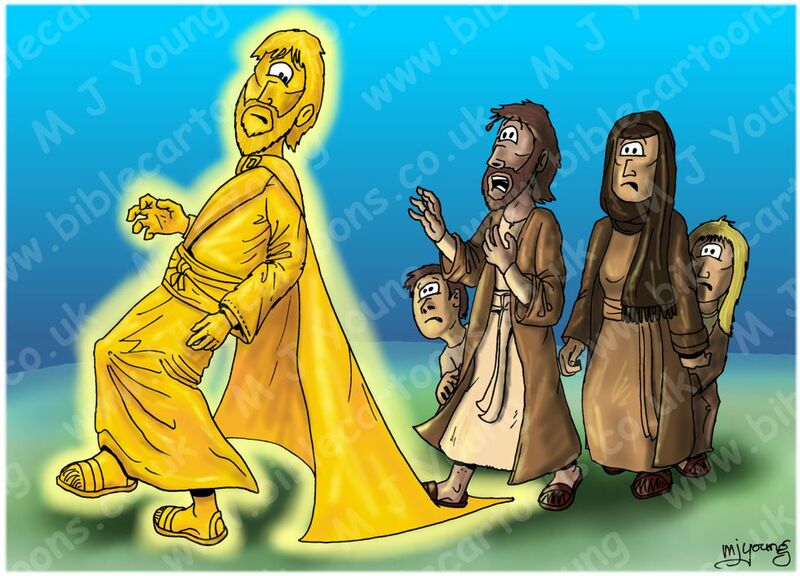 The Holy Spirit, who’s cloak is being trodden on by the father of the family following Him! This is a re-draw of very simple cartoon, one of my early ones. I wondered what it would look like if someone didn’t keep in step with the Holy Spirit, & saw a chance for a bit of fun! I certainly hope that all my viewers do keep in step with the Holy Spirit!